Enter data using key-to-disc system with automatic back-up of data to protect against system crashes. 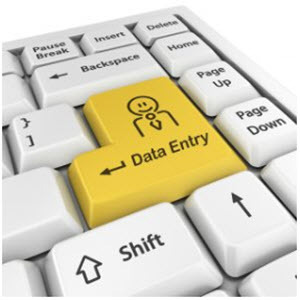 Enter survey, report, test or lab data using fixed or free format. Programs feature screen prompting to guide data entry operator, automatic error detection, user-definable tab stops, repeating keyboard, plus much more. DATA MANIPULATION Edit your files with fast machine language editor using "pencil"-like commands, better than "pencil." Verify data files for "out-of-bounds" entries. Recode and transform data using conditional and absolute re-codes and unlimited logical operators. Edit files larger than memory size. Accepts up to 2000 cases and up to 255 variables. STATISTICAL ANALYSIS AND BATCH PROCESSING Create a "task control file" to specify all analysis for batch processing. Save, edit or reuse task control file on other data sets. "Select if" feature allows analysis on partial data sets. All outputs to parallel or RS232 lineprinter. Error trapping features minimize aborted jobs. Total package of 3 disks and extensive step-by-step user's manual is $185. Manual may be purchased separately for $30, and may be applied to the purchase price. Entire package includes over 30 integrated programs. Write or call for free 16 page brochure.